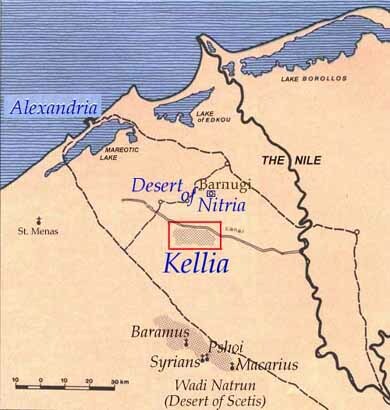 Kellia, known as "the Cells", and referred to as "the innermost desert", was a 4th century Egyptian Christian monastic community located about 12 miles south of the Nitrian Desert. Founded in 338 C.E. 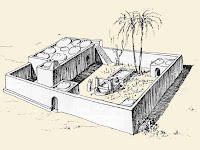 by Saint Amun, under the spiritual guidance of Saint Anthony, it was designed for those who wished to enter the cenobitic life in a semi-anchoritic monastery. The cells were arranged far enough apart the monks could not see or hear each other. They came together on Saturday and Sunday to share a meal together, some journeying 3 or 4 miles from their cell to the church. 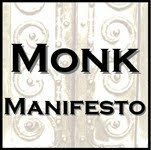 If a monk failed to appear they would know he was sick or died and eventually someone (individually) would bring food or help or collect the remains. It was believed at one time up to 600 monks were at Kellia. 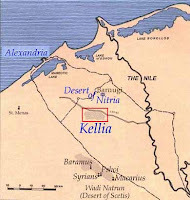 Kellia is called al-Muna in Arabic and was inhabited until the 9th century. The site at Kellia lay abandoned for centuries until its rediscovery in 1964. French and Swiss archaeological teams began work at the site the next year, work that continued until 1990. Throughout this period, the French and Swiss teams had to contend with significant environmental and societal factors that threatened the site’s preservation. In the 1960s, the Egyptian government began intensive efforts to reclaim desert territories and sponsor agricultural development through irrigation in the western Delta region. The result of these efforts was a rising water level that increasingly saturated and destabilized the ground in and around the monastic remains. 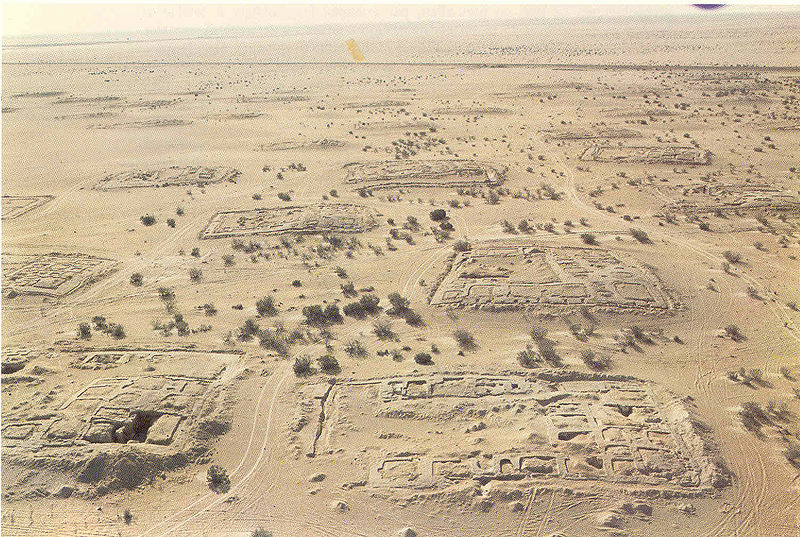 Each year, portions of the site were lost to unmonitored agricultural expansion, and in 1990 the archaeological work at Kellia was suspended.